VERY interesting shot, good mood. 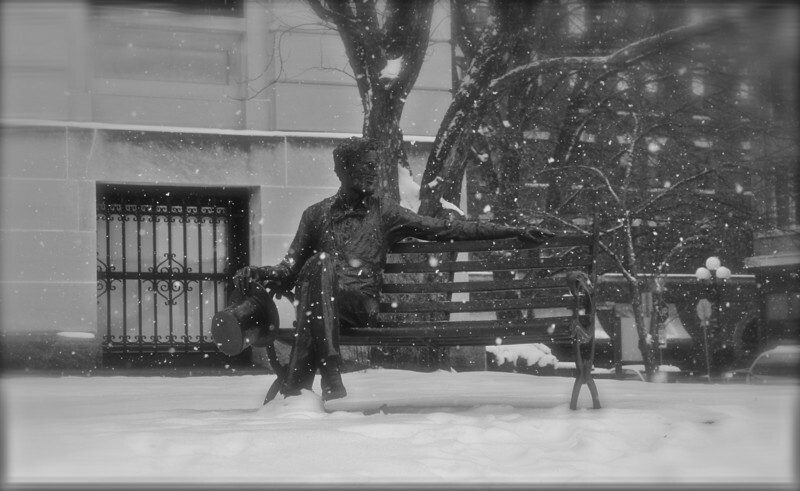 oh... how the snow looks soft and (almost) inviting... native houstonian, not accustomed to cold... neat statue, as well. Lovely capture -- I think the snow falling adds to the image. Well done! Great quote and a wonderful shot!